Last week saw an inter-agency power grab. 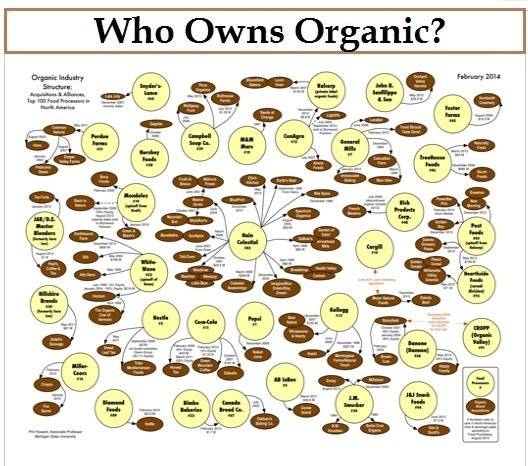 It begins with the weakening of organic standards—and could end with the term “organic” becoming practically meaningless. Action Alert! In September, the USDA announced changes to its interpretation of the “sunset” provision in the Organic Foods Production Act (OFPA), an incredibly important piece of legislation that Congress passed into law in 1990. These changes override the powers of the National Organic Standards Board (NOSB) and make it easier for food producers to use synthetics in organic food production. Previously, any exemptions from organic standards were set to expire, or “sunset,” on a specific date—unless they were reinstated by a “decisive” two-thirds majority vote of the NOSB. Now it’s just the reverse: a synthetic material can be permitted to remain in an organic food indefinitely unless a two-thirds majority votes to remove it from the exempted list. Thousands of consumer advocates and environmentalists spoke out against this power grab by the USDA—one that satisfies only the vested interests of large-scale producers trying to increase their profits with an “organic” stamp. ANH-USA was there at the meeting so we could speak out on behalf of consumers and voice our concern about the continuing dilution of organic standards. The Cornucopia Institute said the NOSB is being stripped of its authority so that the USDA can set its own agenda—a naked power grab. Cornucopia is looking at legal action over this change in terminology. Consumer Reports says the National Organic Program is becoming less and less discriminatory about sunsets, and doesn’t align with what the law requires, creating a huge gap between what is marketed as organic and what the consumer expects organic to be. The shift in power was on clear display at last week’s NOSB meeting when board members voted to allow the continued use of gellan gum, tragacanth gum, sulfurous acid, sodium carbonate peroxyhydrate, and aqueous potassium silicate in organic production. Allowing these synthetic substances in organic production is a clear victory for producers who want to be considered organic without sacrificing their bottom line. For example, large organic dairy producers such as Stonyfield Organic, Organic Valley, White Wave, and Horizon Organic say gellan gum—a thickening agent—is needed to stop the chocolate flavoring from separating from the milk while the carton sits in grocery stores. Consumer advocate and organic watchdog groups argued that the ingredient simply isn’t necessary and that such synthetic materials should never be allowed in foods that are certified as organic. Board members who advocated removing these items were voted down because of the new interpretation of the “sunset” rule. At issue is the board’s composition, which has been infiltrated by corporate interests. The make-up of the fifteen-member board is clearly defined by statute, but an executive from Driscoll’s now sits in a seat that should belong to a farmer/grower. Another seat is held by an individual who, when appointed, worked for the country’s largest organic marketing cooperative, CROPP ($928 million in annual revenue). “We have two members of the current board, both sitting in seats that Congress had designated for someone who must ‘own or operate an organic farming operation’ but who were actually agribusiness employees when appointed to the five-year term on the NOSB,” said Mark A. Kastel, co-director and senior farm policy analyst at Cornucopia. The voting records of these two agribusiness employees are significantly lower than those of the actual farmer members of the NOSB. In all, of the board’s fifteen members, six are a pro-corporate business voting block, and several others often vote with them. In other words, what we are seeing is a clear case of collusion between USDA and agribusiness. You are currently browsing the archives for the USDA category.